This beautiful black filly is a double granddaughter of RG Stuart’s Monarch. 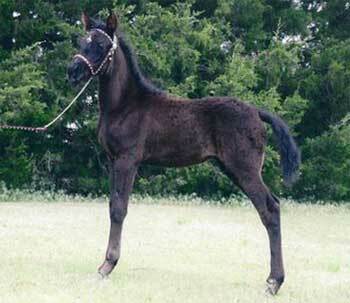 Her sire is RG Denmark’s Black Lark and her dam is RG Monarch’s Lady Black. 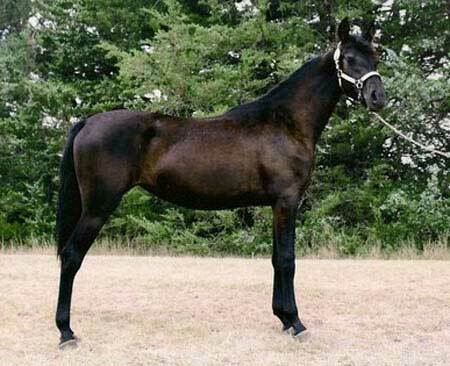 This would make Meadow Lark a ½ sister to the high selling (18 k) mare at the Buckeye spring sale 2011. Meadow Lark has a very alert eye, tipped ears and is an all around knockout. She is a fine example of what we are breeding here at Grunden Ranch Morgans.